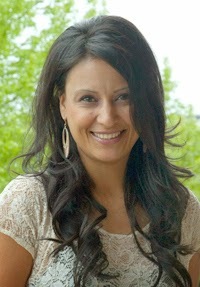 Vanessa Galaviz is an American environmental health scientist. Galaviz completed degrees at San Diego State University and UC Diego and received her PhD in Environmental & Occupational Hygiene in 2013 from the University of Washington. She has always had a strong interest in understanding and addressing the environmental health of minority and low-income communities. Her graduate work fell well within this area, researching diesel exposure among pedestrians who cross the US–Mexico border in San Ysidro, CA. The cross-border findings have already helped establish a biomarker for diesel exposure and has already been used by San Ysidro to consider policy changes. Galaviz has already received multiple awards in her career, including the Casa Familiar ABRAZO Award in 2011, the the Martin Luther King Jr. Community Volunteer Award in 2012, and the Gilbert S. Omenn Award for Academic Excellence in 2013. In addition to her academic work, Galaviz is very active in the Society for the Advancement of Chicanos and Native Americans in Science (SACNAS) and is passionate about inspiring high school and undergraduate students, especially minority students, to pursue science as a career. She is famous at for her ability to organize field trips and lab visits for budding scientists and uses any national meeting she may presenting her work at to also network with and recruit prospective students.